Whether you want to improve your online marketing strategy or you don’t have one as yet, a clear strategic goal is the first step in terms of gaining new customers or strengthening relationships with existing ones. Without clear goals, you won’t be able to allocate resources efficiently and determine whether you are making progress. Ensure that your goals are SMART and that the progress is evaluated continually using Google Analytics. The dynamics of online marketing are different to traditional channels. Traditional marketing techniques focus on one way approach of spreading your message whereas online marketing customises messages according to the target market, encourages interaction and uses multiple online platforms. Additionally, online comprises of a different type of target market, customer demographic profiles and customer behaviour. 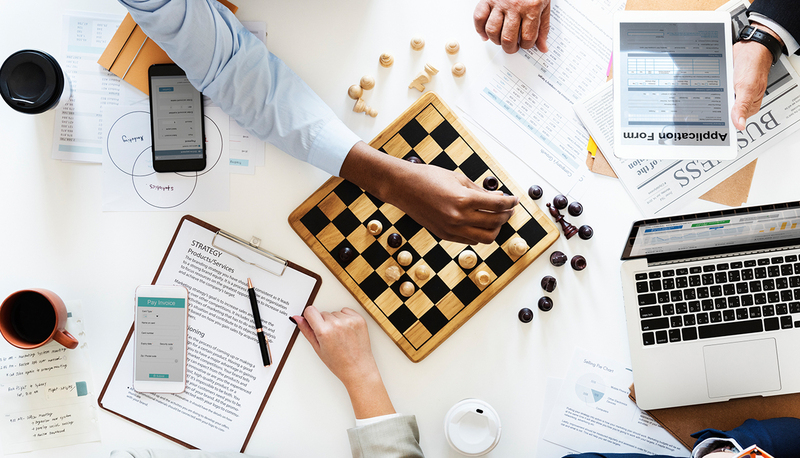 In order to know where your social media strategy stands compared to competitors, it is important to conduct a social media competitive analysis. Monitoring your competitors’ social marketing campaigns bring in ideas of what works well and what does not. Furthermore, you are able to use your competitors’ research to identify gaps in the rival brands’ offer to improve your services and gain competitive advantage. Using quality content and social media techniques correctly can drive traffic to your site. With an increase in the number of users who visit your site increases the possibility of sales. It is not enough to simply put content online and wait for visitors to come to you, it is important to collect leads to email customers directly and create online campaigns to encourage and drive more sales. Before a campaign is launched, you should have a clear understanding of which metrics you are going to use to measure and analyse the campaign progress. Metrics and KPI’s are examples of essential measurements that can grow your brand and increase ROI. Be sure to have a team that continuously evaluates and acts on the results. Online Marketing enables companies to customise their messages according to the target market. A strong online presence is essential for any successful business, allowing customers to have access to your company and brands all day, every day ensuring maximum ROI and long-term success.